Stockholm: Two Japanese citizens and an American have won the 2008 Nobel Prize in physics for discoveries that help explain the behaviour of the smallest particles of matter. 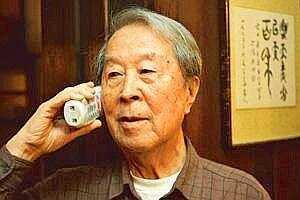 American Yoichiro Nambu, 87, of the University of Chicago, won half of the 10 million kronor ($1.4 million) prize for the discovery of a mechanism called spontaneous broken symmetry. Makoto Kobayashi and Toshihide Maskawa of Japan shared the other half of the prize for discovering the origin of the broken symmetry that predicted the existence of at least three families of quarks in nature. The Nobel committee said the trio “presented theoretical insights that give us a deeper understanding of what happens far inside the tiniest building blocks of matter". In physics, the idea of symmetry refers a kind of equality or equivalence in a situation. At the subatomic level, for example, you should not be able to tell whether you are watching events unfold directly or in a mirror, or whether a movie of those events is running forward or backward. And particles should behave just like their alter egos, called antiparticles. If any of these rules is violated, the symmetry is broken. One big broken symmetry arose immediately after the big bang, when just a tiny bit more matter than antimatter was created. Because these two kinds of particles annihilate each other when they meet, that excess of matter was responsible for seeding the universe. Nambu introduced his description of spontaneous symmetry violation into particle physics in 1960. The Nobel citation said Nambu’s theories now permeate the Standard Model of physics, which is the basic theory of how the universe operates. In 1972, Kobayashi and Maskawa explained why an experiment eight years before had found that some subatomic particles called kaons failed to follow the rules.